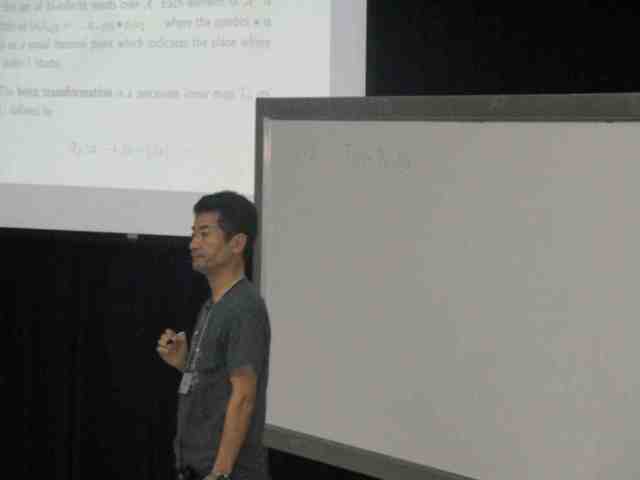 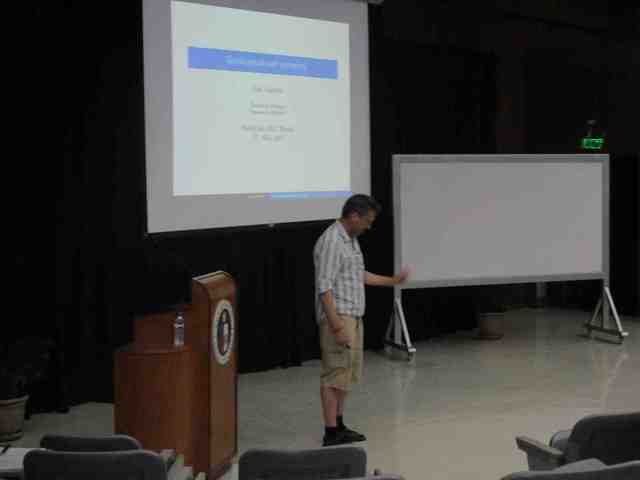 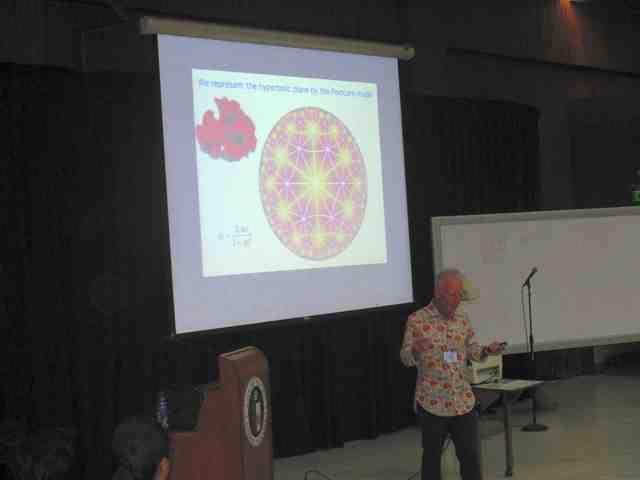 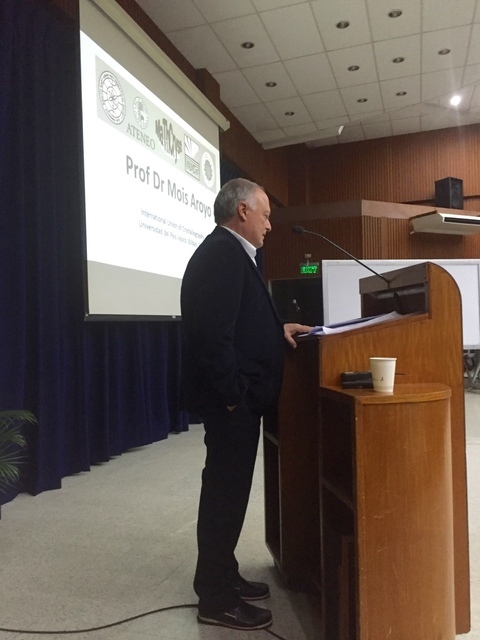 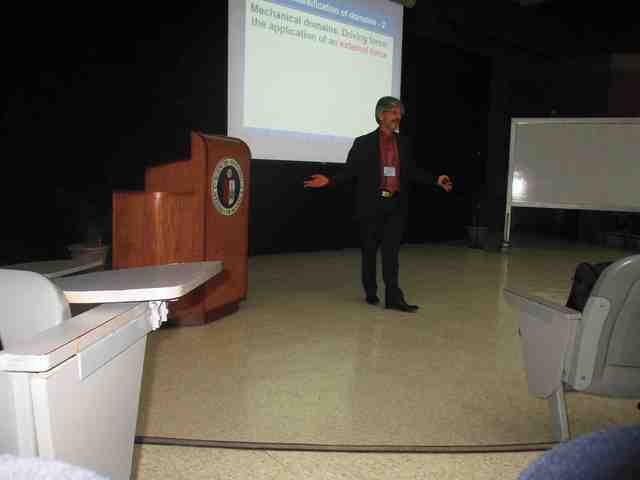 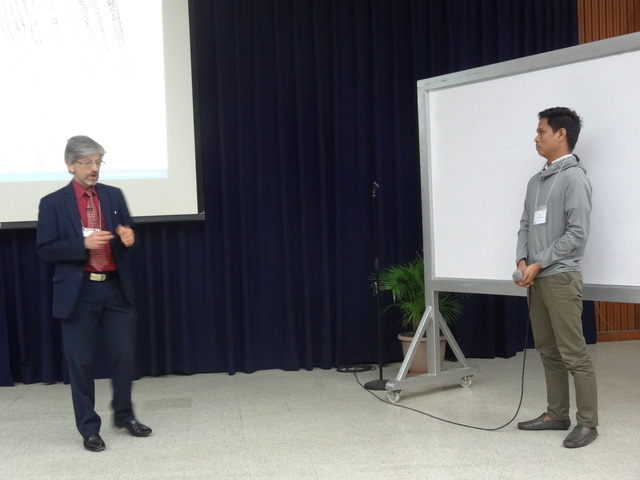 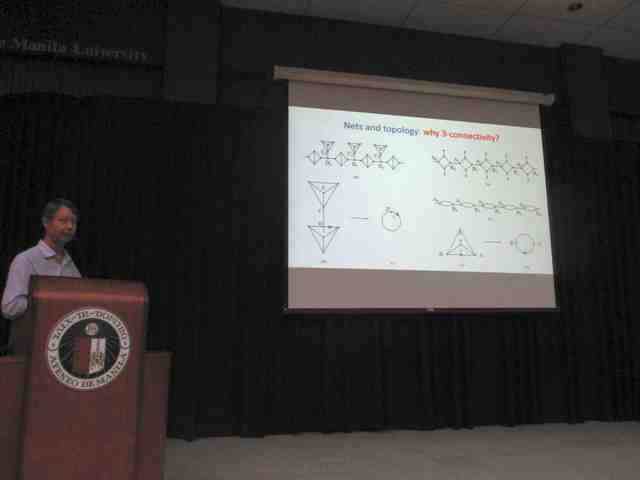 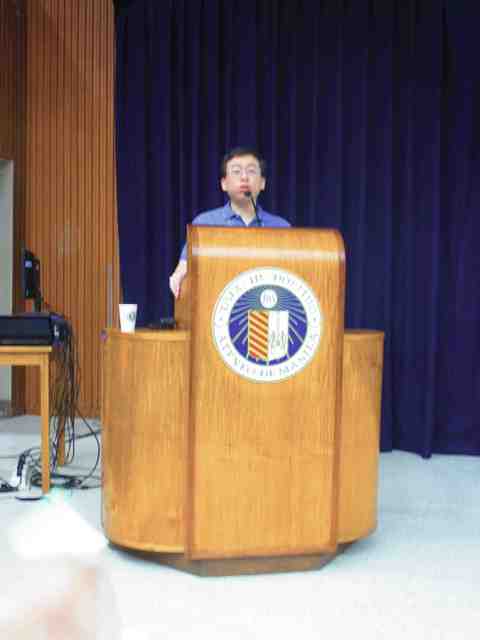 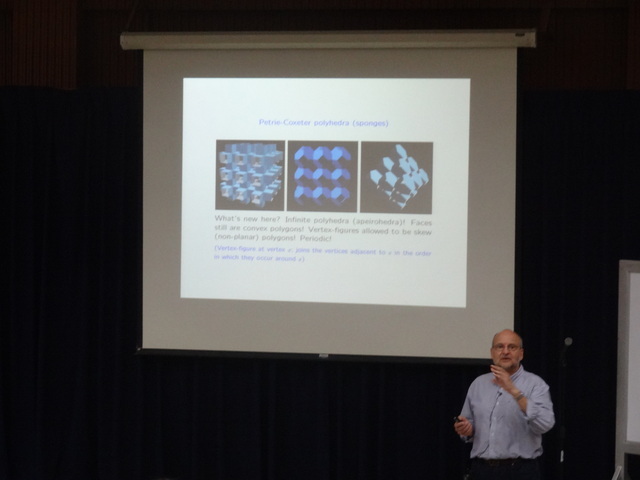 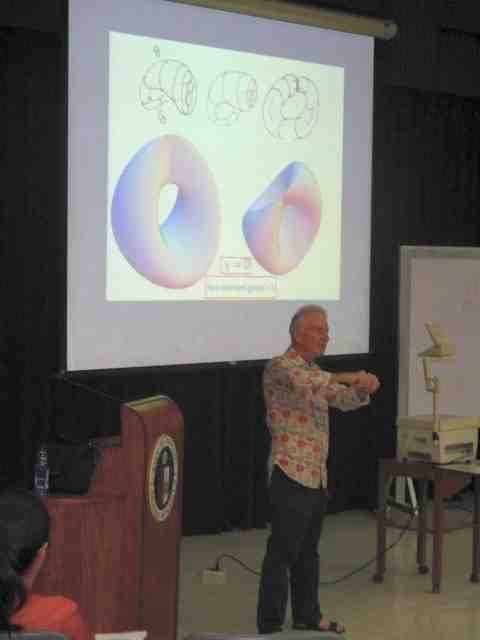 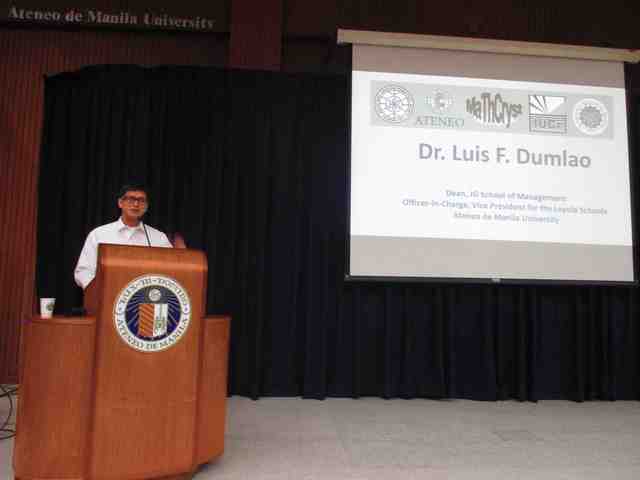 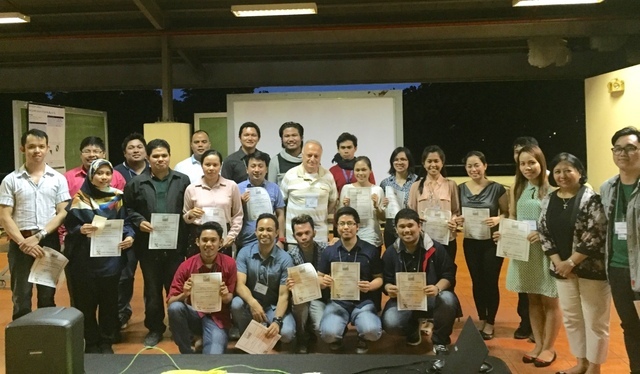 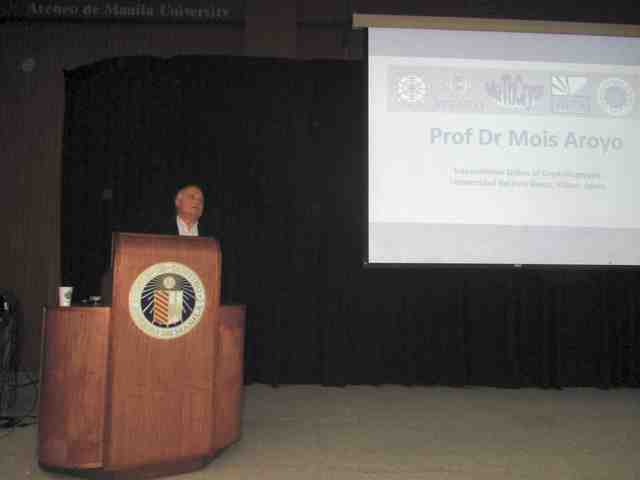 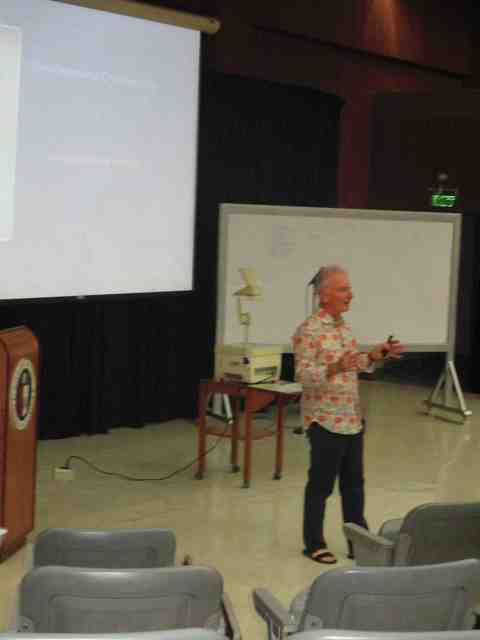 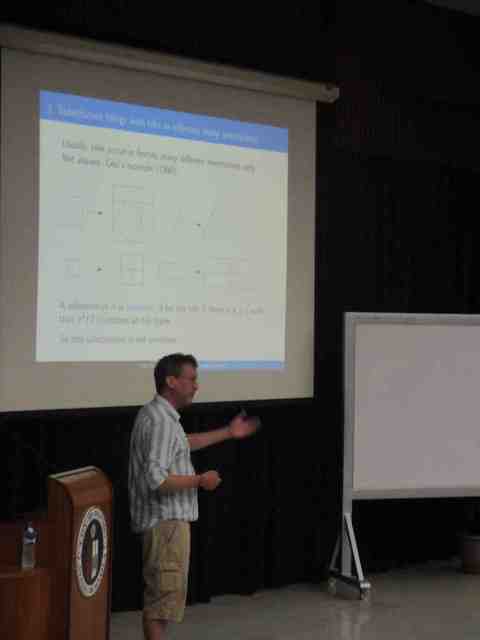 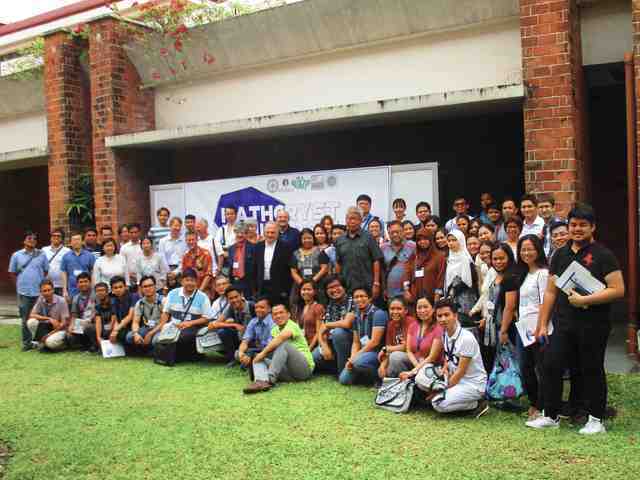 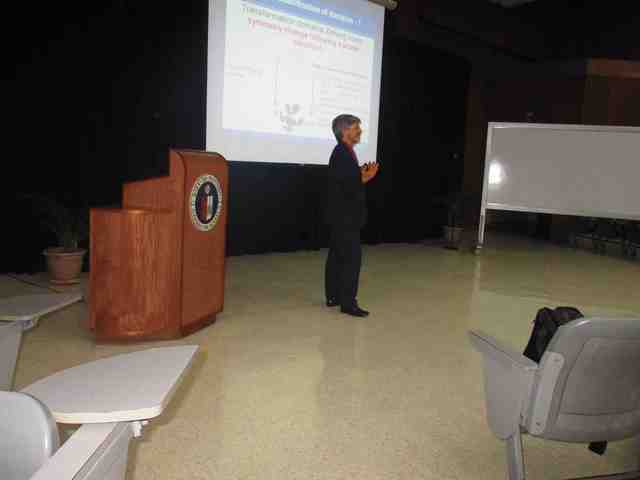 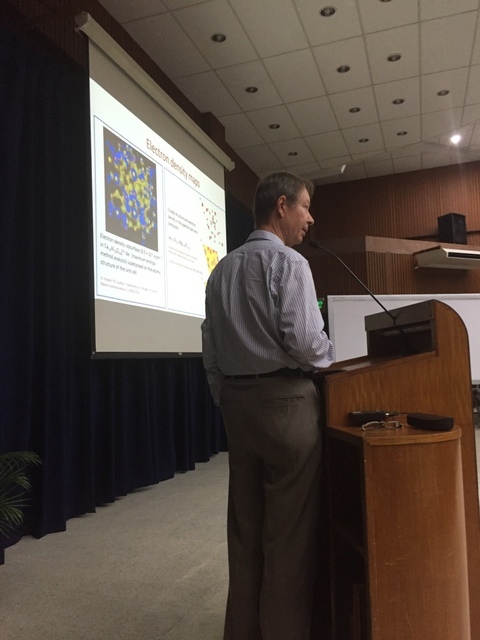 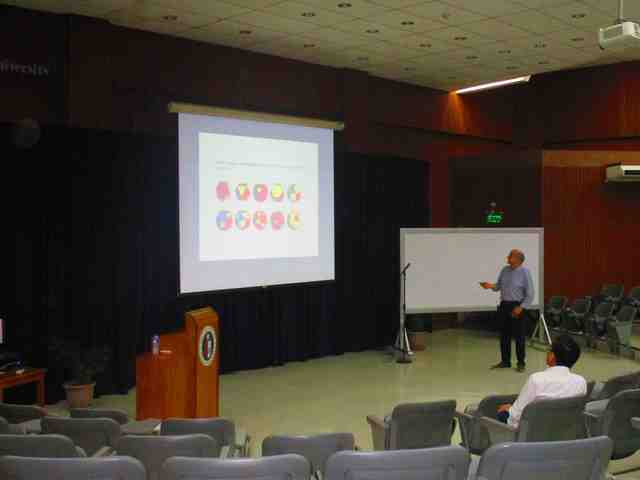 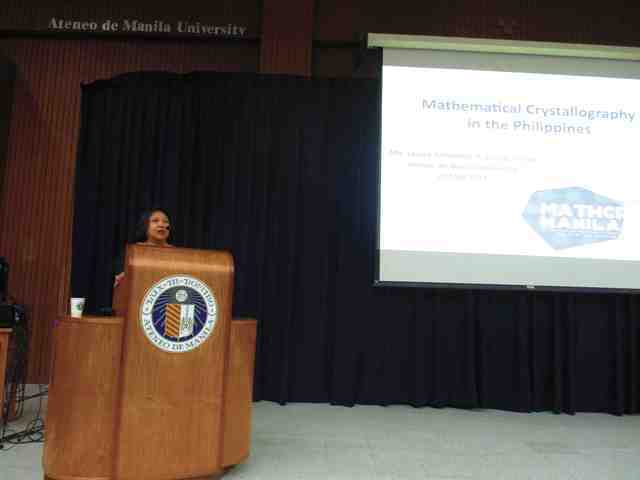 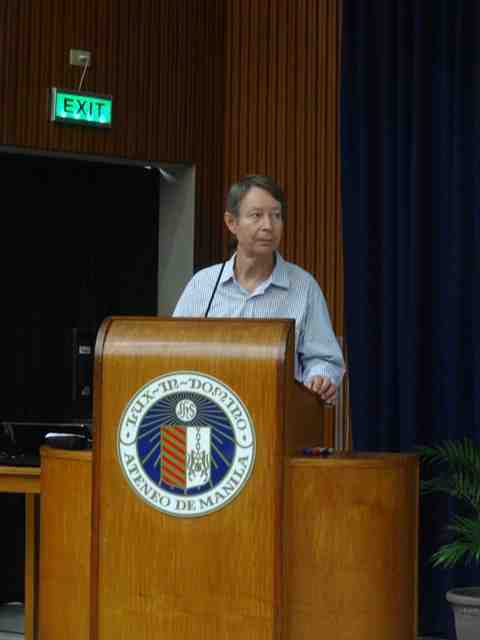 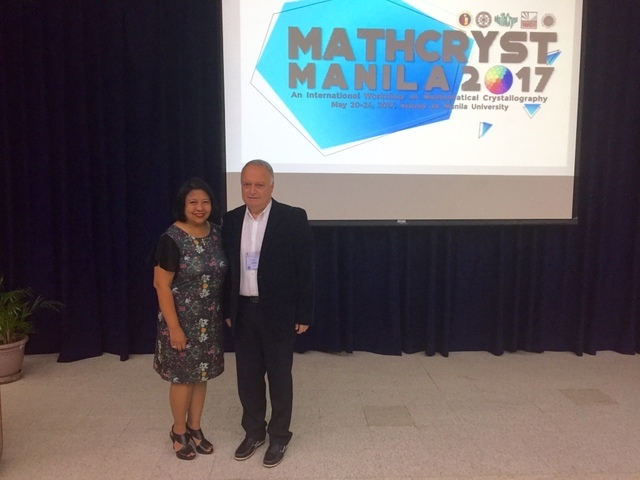 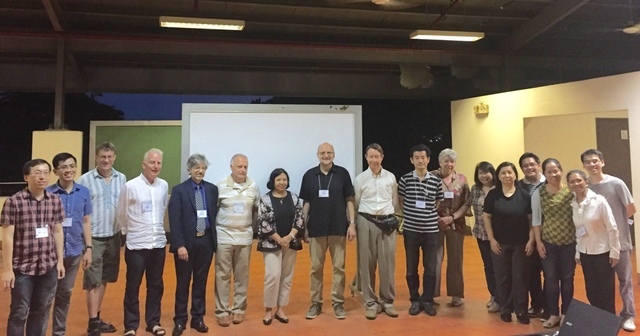 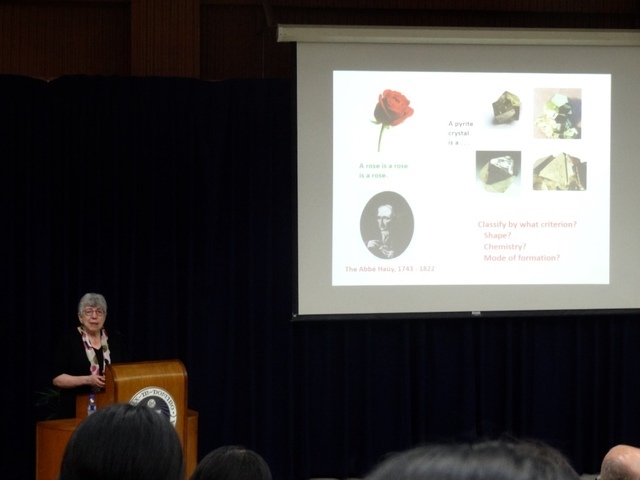 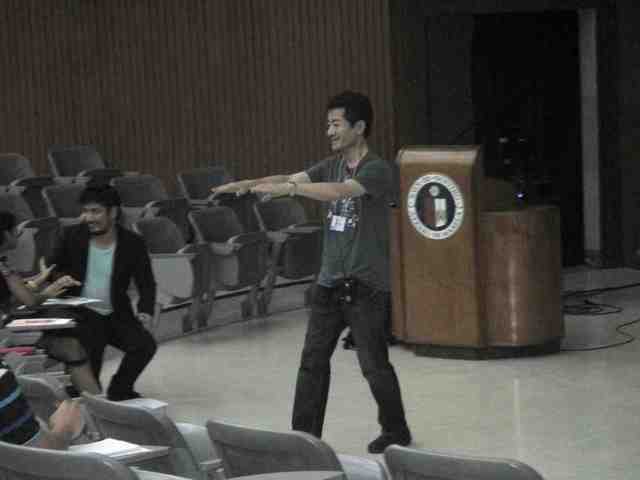 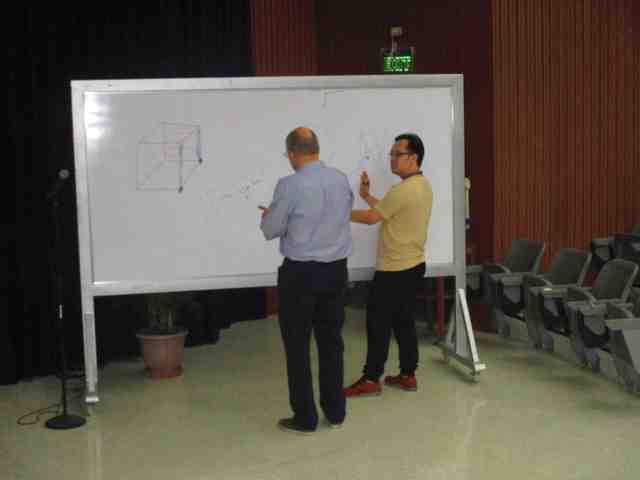 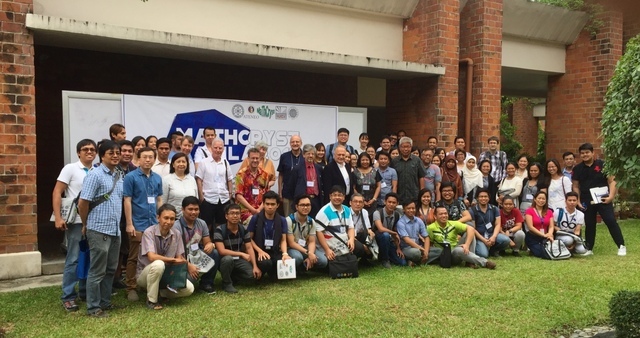 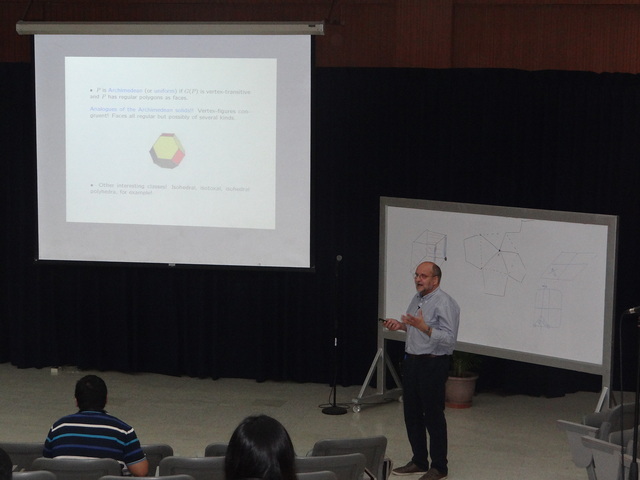 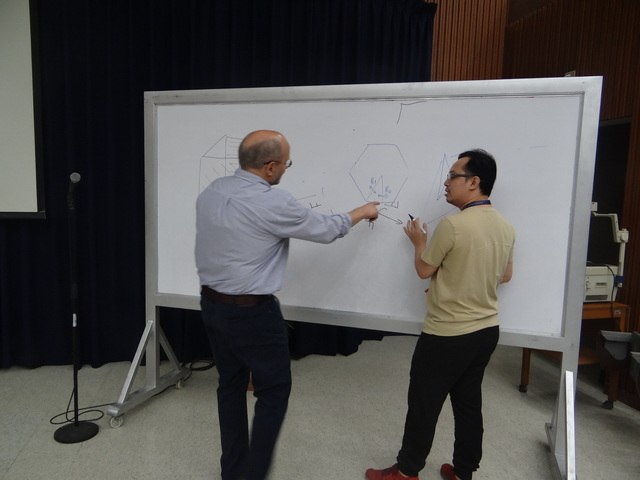 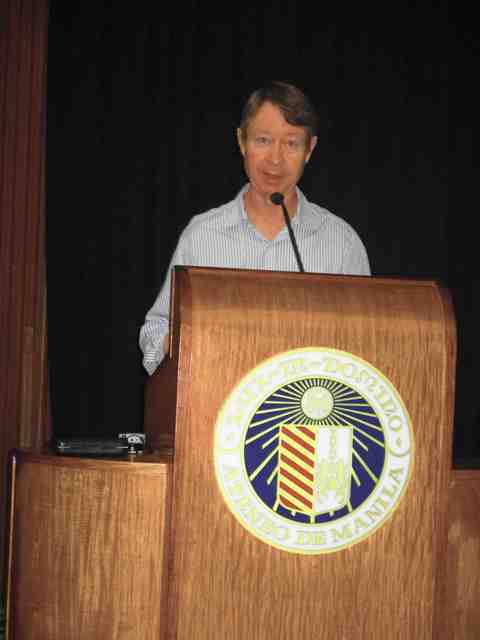 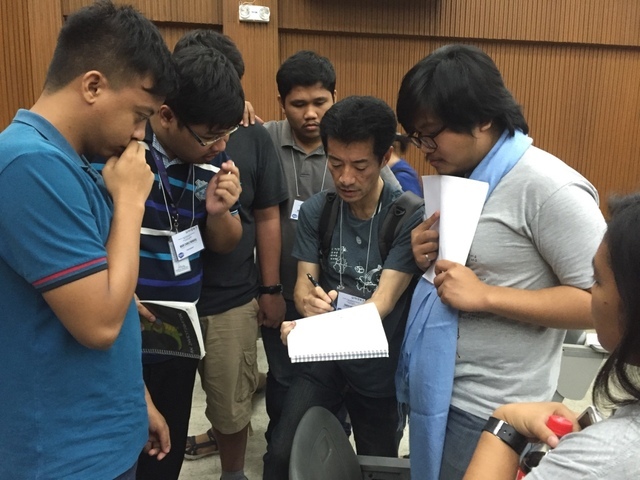 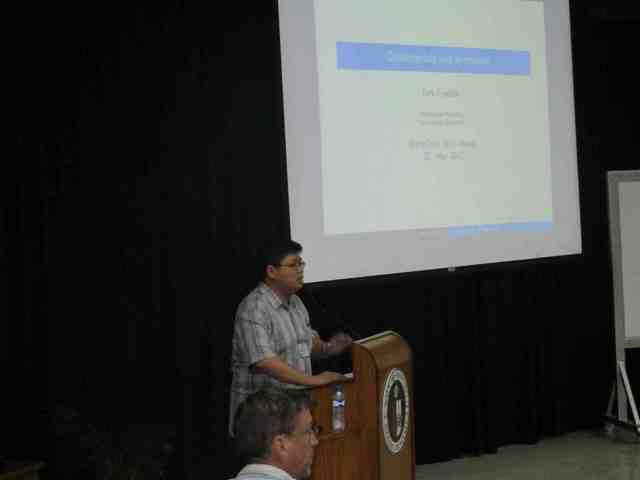 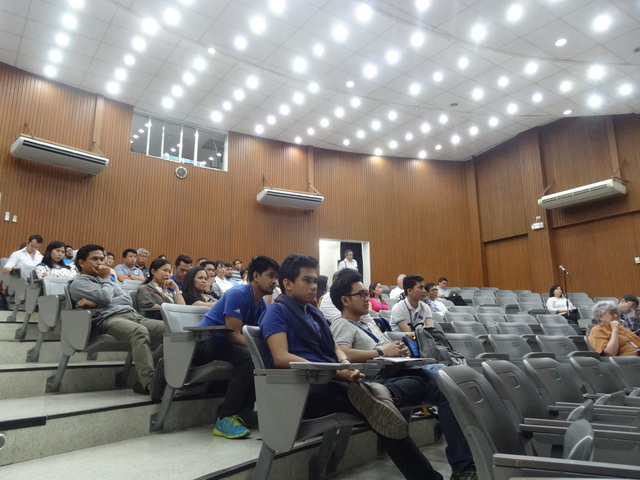 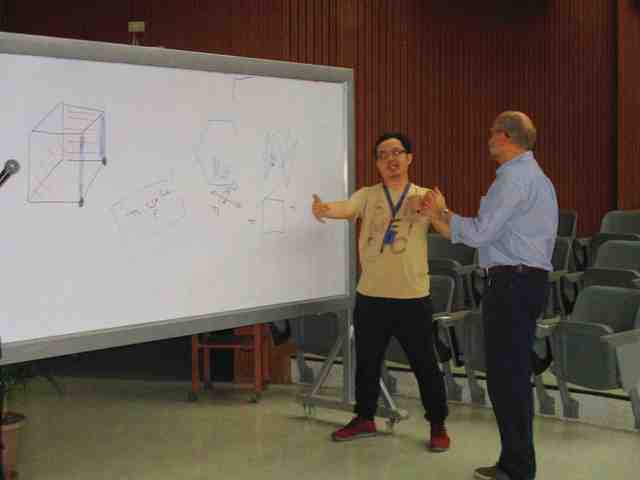 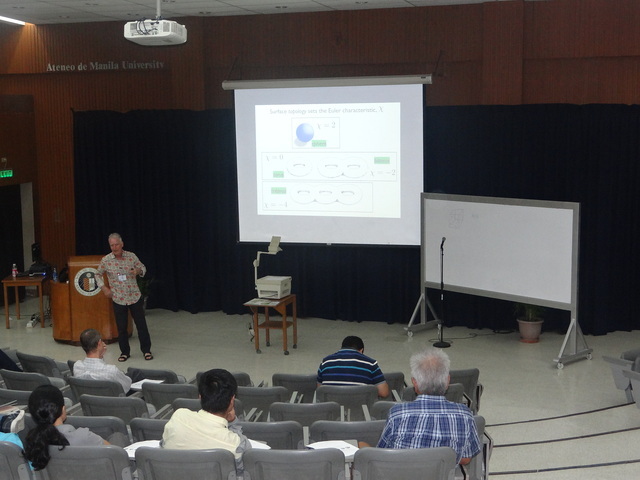 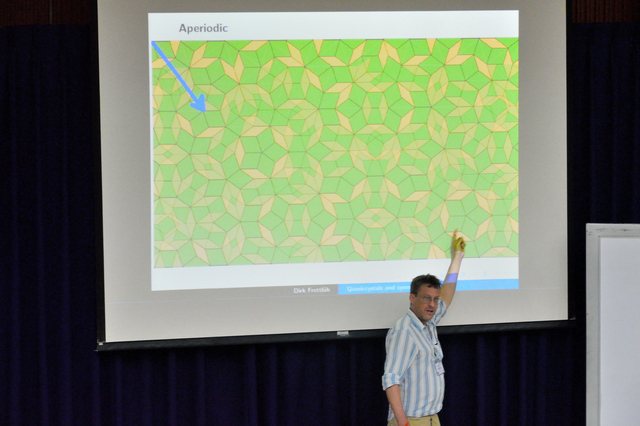 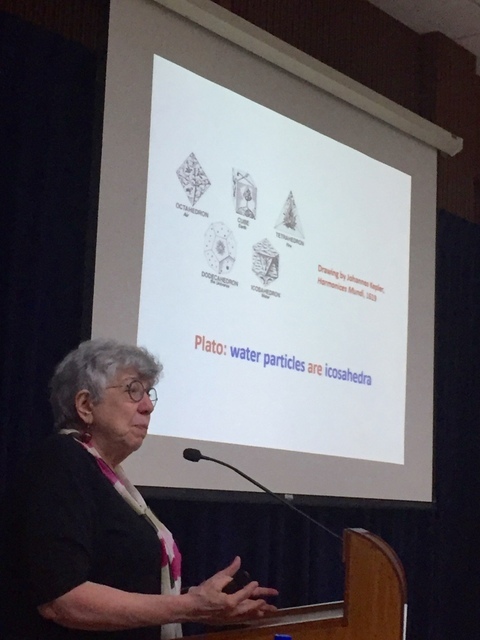 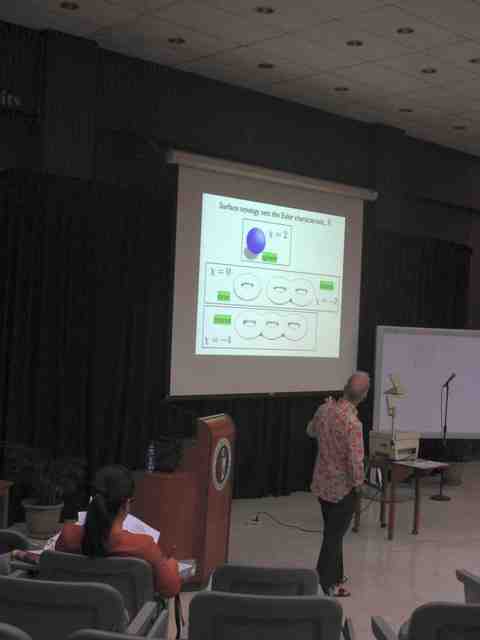 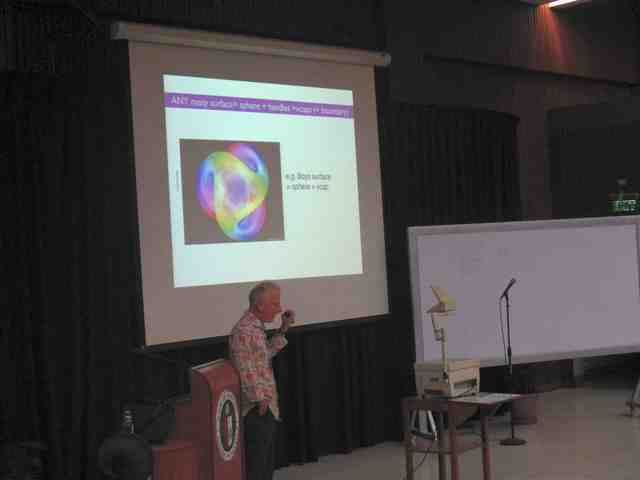 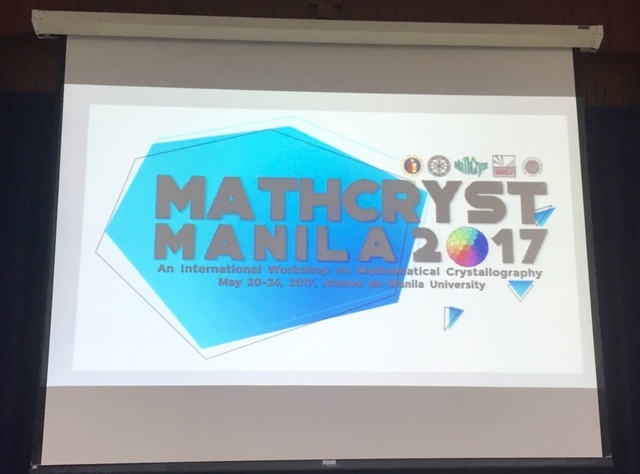 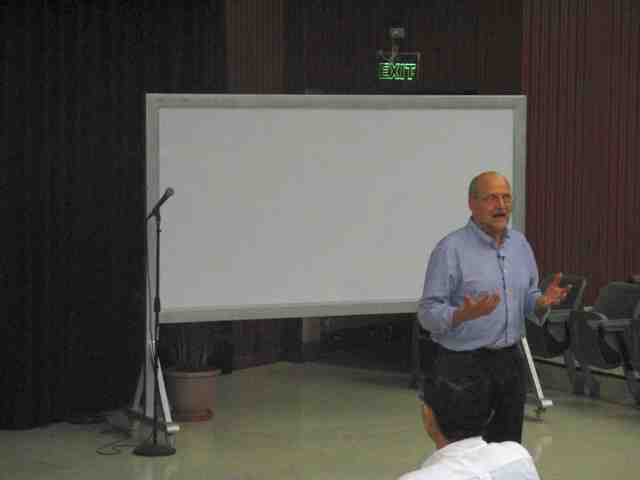 Organized by the Commission on Mathematical and Theoretical Crystallography and held at Ateneo de Manila University, Quezon City. 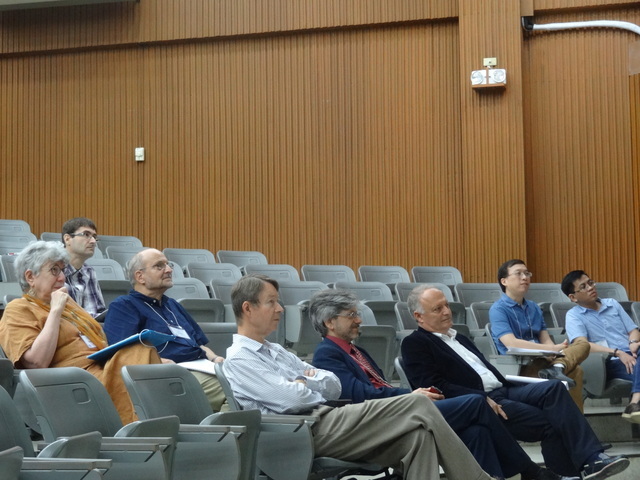 Speakers and members of the Local Organizing Committee. 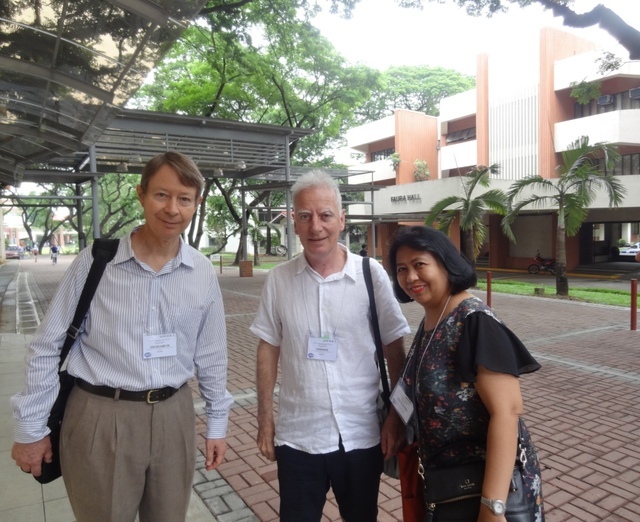 Jean-Guillaume Eon, Stephen Hyde, Louise Antonette De Las Penas. 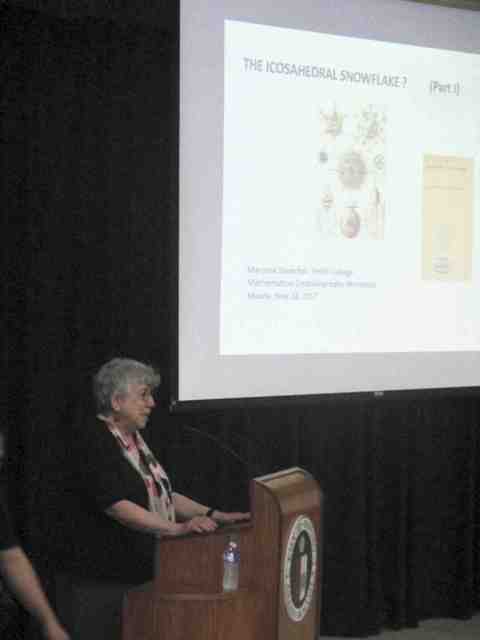 Louise Antonette De Las Penas. 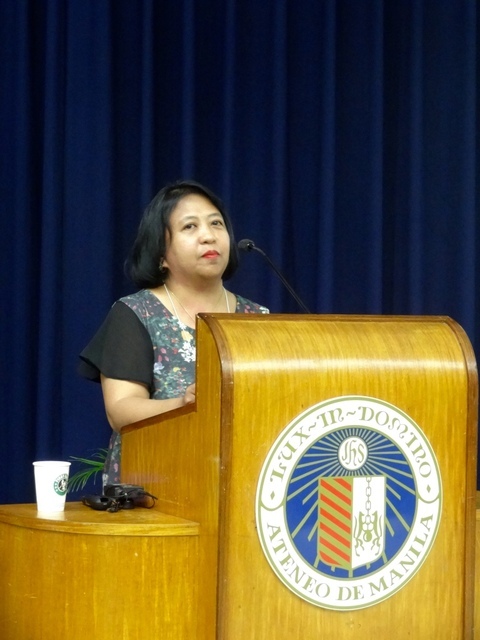 Louise Antonette De Las Penas, Mois Aroyo. 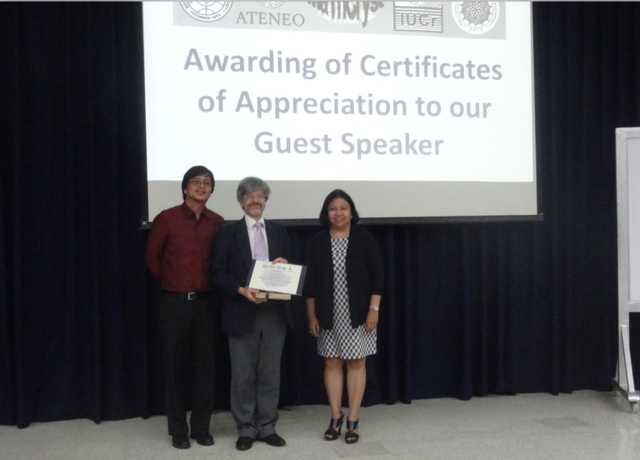 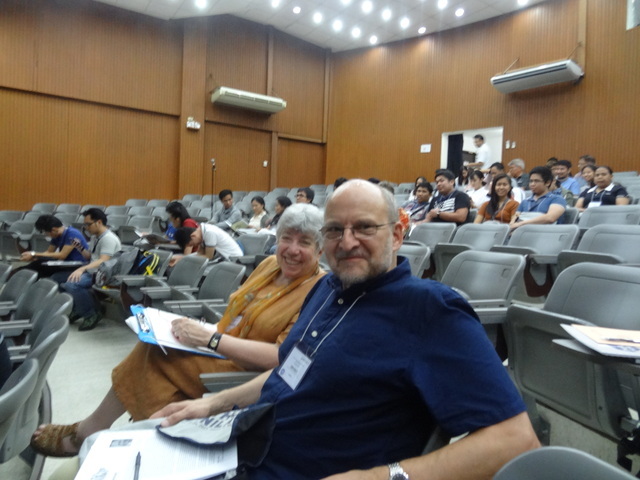 Emmanuel Cabral, Chair of the Ateneo Mathematics Department, Massimo Nespolo, Louise Antonette De Las Penas. 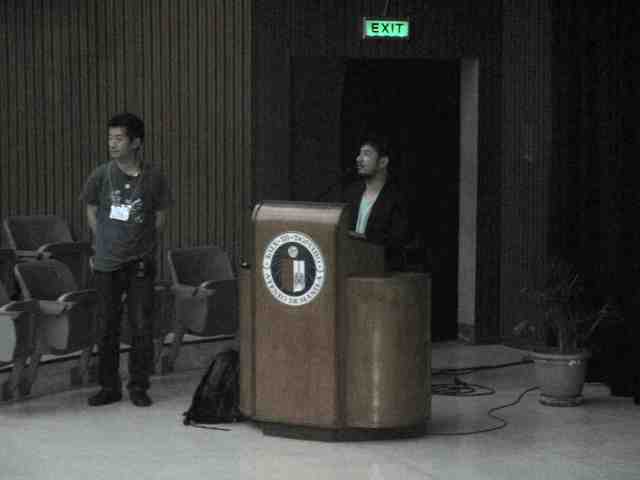 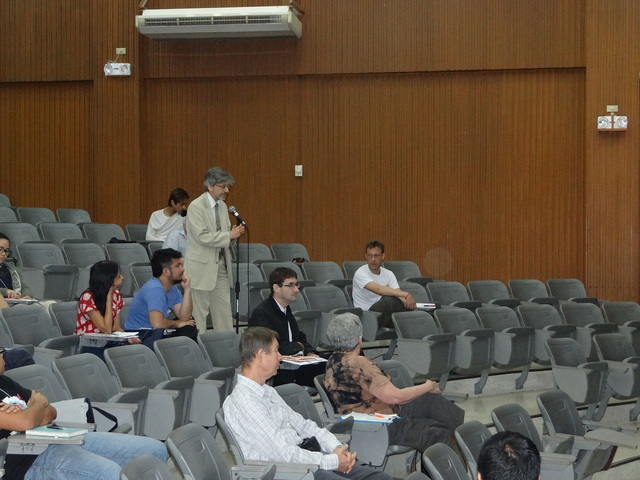 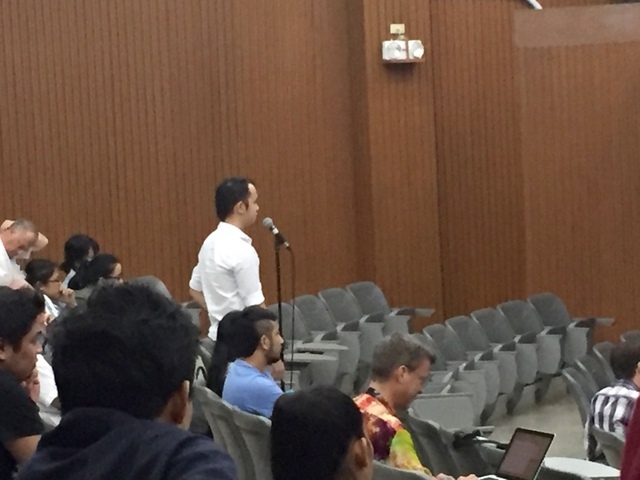 Shigeki Akiyama answering questions from the participants.